In this video I’ll show you how to render an image in DAZ Studio and compose it onto a background image in Photoshop. We’ll use the Shader Mixer and a Shadow Catcher in DAZ Studio to make the figure cast a shadow but be otherwise transparent. In Photoshop we’ll add artificial depth of field to an arbitrary background picture using Smart Objects, and I’ll introduce some techniques to blend both images together for extra realism (all non-destructively). 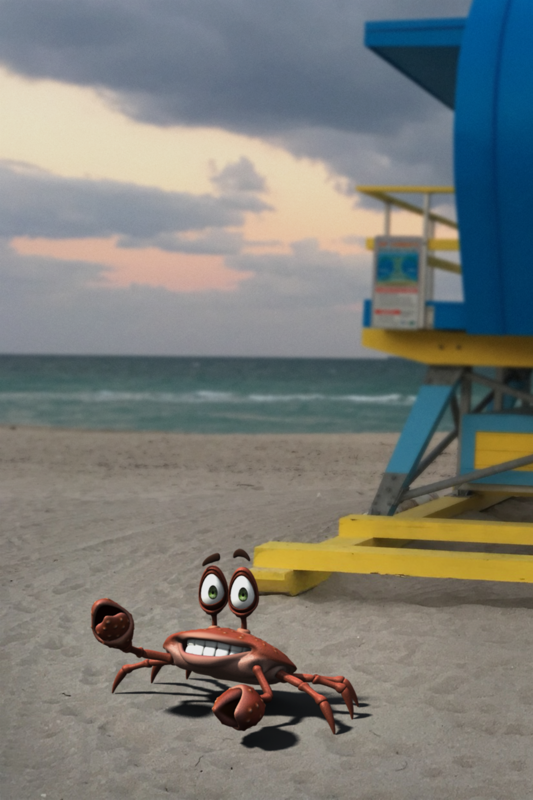 The final picture is going to look like this (featuring the 3D Universe Toon Crab and a new lifeguard tower in my neighbourhood). The whole video is nearly 40mins long, so grab a cup of tea and enjoy.